Tuesday Night Comics Podcast 105 – Star Wars: The Force Awakens Reviewed! Going into Superman vs. Batman: Dawn of Justice, I had no time for the haters. 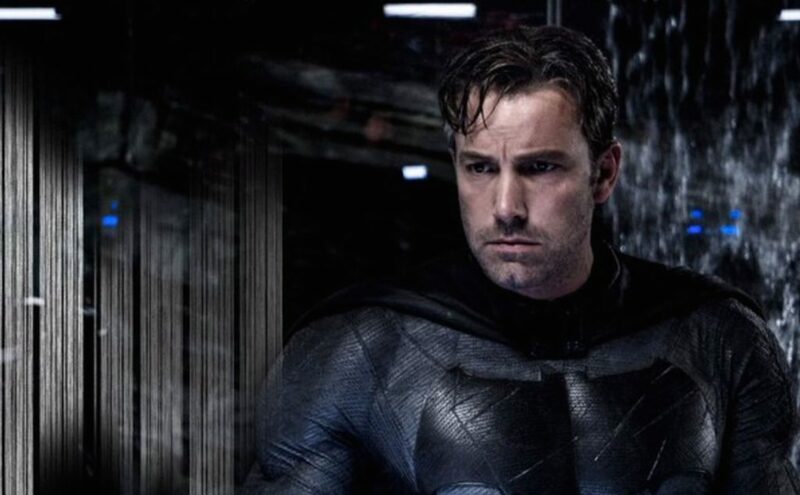 I wrote off the detractors as people either still upset about Man of Steel or who haven’t seen anything Ben Affleck has been in since Daredevil. As an unapologetic Ben Affleck fan, I was psyched for Batfleck! You can keep your 15 year-old “You were da bomb in Phantoms!” joke. I love Ben Affleck. I love Batman. Get me to this movie. I still remember seeing the trailer for Batman Vs. Superman: Dawn of Justice and being legitimately excited. The commercial made the movie look awesome. But I guess if you show only the 30 most exciting seconds of a movie, you can make the most boring movie look awesome. 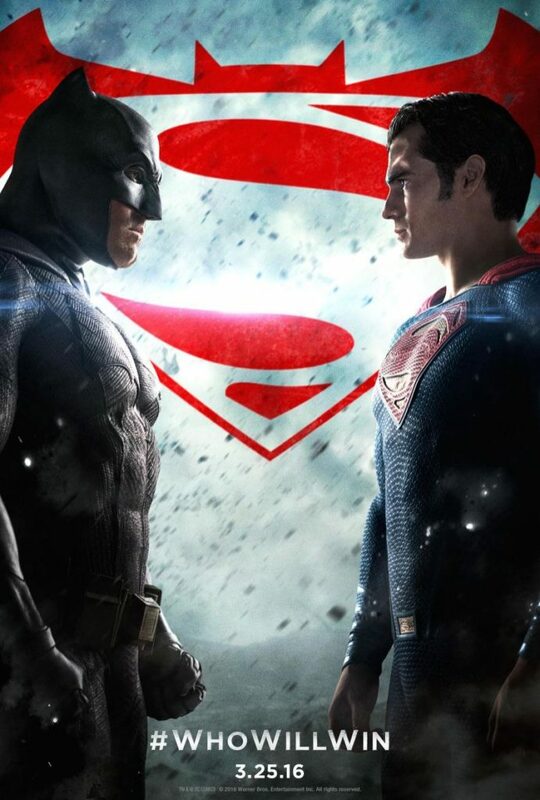 Batman Vs. Superman: Dawn of Justice commits the most heinous crime that an action movie can commit: It is boring. I’m talking seriously boring. Fall asleep on your couch watching it boring. When I was watching the movie, I turned to a friend and said, “I feel like we’re just watching wheels spin.” He turned back to me and said, “That would mean the wheels were moving.” So much of the movie is expository, and it’s not even interesting exposition. The most disappointing thing is how much potential the movie had to be good. 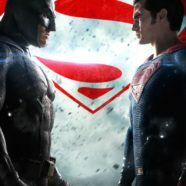 At its core, Batman Vs. Superman can be described as Batman doesn’t think too highly of Superman after the climatic battle in Man of Steel. Lex Luthor uses this to get Superman and Batman to fight each other. But Wonder Woman gets the heroes to unite, because they need to stop a bigger threat down the road in the name of Darkseid. I would pay to see this movie. This is the movie I was so excited to see, I was tempted to leave my wife and newborn daughter home for a couple of hours while I snuck off to the movie theater. I am so glad I talked myself out of that idea. Batman Vs. Superman: Dawn of Justice is not sneak off to the movie theater worthy. It’s not even Redbox worthy. I doubt it’s even HBO worthy (I mean, you could watch the first three episodes of The Night Of instead). I’m going to go out on a limb and say that Batman Vs. Superman: Dawn of Justice is a worse movie than the recent Fantastic Four movie. 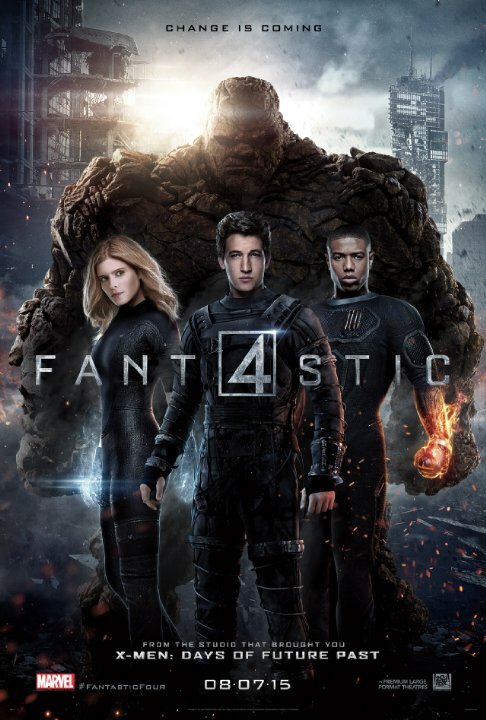 I can’t think of a superhero that was crapped on worse than Fantastic Four. But I would gladly watch Fantastic Four again before sitting through another screening of Batman Vs. Superman. Maybe it’s because I had such low expectations for Fantastic Four, but had such hope for this movie to be good. And what’s up with that Knightmare dream sequence? Sure, if you’re a fan of the comics, you undoubtedly found yourself explaining to your non-comic-reading friends what the Parademons where, and how the giant Omega symbol in the sand was signaling the coming of their master, DC’s big-time cosmic bad guy Darkseid. But since when did Batman get visions of the future? And what’s up with the costume under a trench coat paired with goggles look? 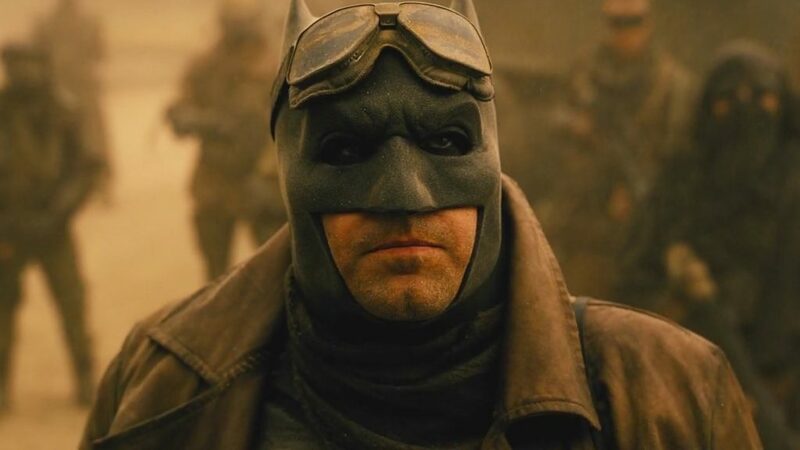 I can’t believe the amount of merchandising that’s come out of “Knightmare Batman.” Who honestly wants the Funko Pop Vinyl of Batman in a trench coat wearing goggles? In the future countdown list of worst Batman costumes, I see Knightmare Batman taking home the prize. 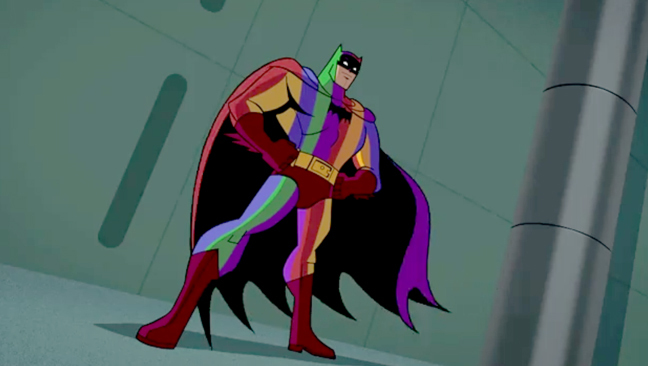 Sorry, Rainbow Suit Batman. You’re just not silly enough as Batman in goggles and a trench coat. 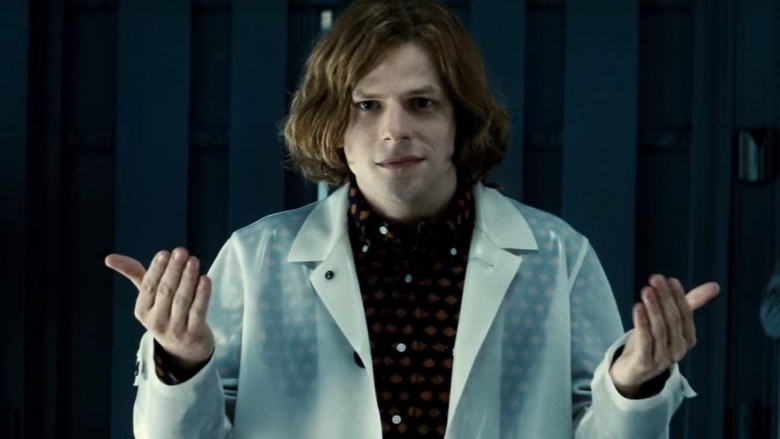 I was hoping to like Jesse Eisenberg’s portrayal of Lex Luthor. I liked the idea of Lex being updated as a cocky, Silicon Valley millionaire. Instead, we got Eisenberg channelling Frank Gorshin as The Riddler. Don’t get me wrong. I LOVED Frank Gorshin as The Riddler. But it didn’t work for Jim Carrey and it doesn’t work for Jesse Eisenberg here. The movie fails on so many levels. Did I set my expectations too high? I don’t know. I don’t think expecting a superhero action movie to be exciting is an unreasonable expectation. 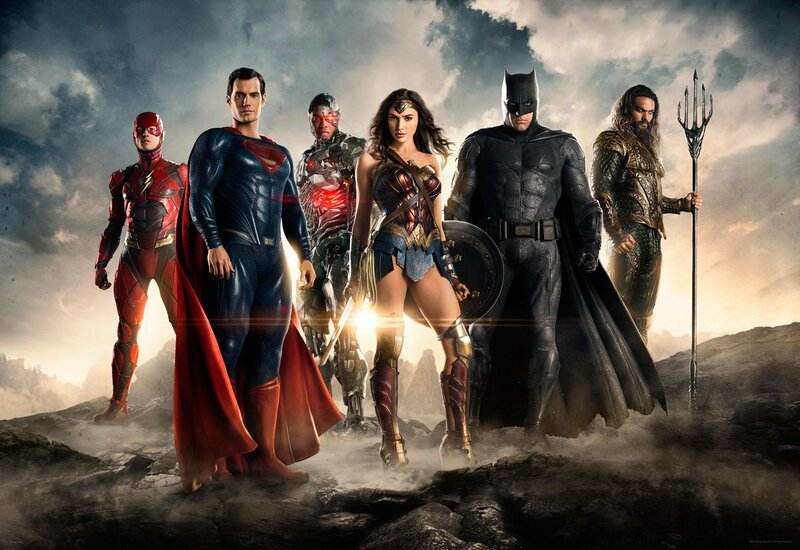 After watching Batman Vs. Superman: Dawn of Justice, I am seriously worried about the upcoming Justice League movie. If you take out the Nolan Batman movies, DC’s track record on live action movies looks abysmal in recent years, especially compared to Marvel. It is insane that when DC is doing such a great job with animation and live action TV that their live action movies would range between average to abysmal. I have not watched the Ultimate Edition extended cut of Dawn of Justice. Can you blame me? The last thing this movie needs is more minutes padded onto it. Batman vs Superman: Dawn of Justice is not a good movie. It’s not even a good bad movie. It’s as boring as it is long, and it is a long movie. Shopping through our Amazon links helps support Tuesday Night Movies.